Home » Topics » How can I help my child with their weight? Positive steps in addressing childhood obesity. Support from a healthcare professional is vital at every stage. Childhood obesity is on the rise and has become a major health issue worldwide. In 1980, only a little over five percent of children were obese. Today, that number is approaching twenty percent. So what has changed? There are many theories about the causes of this epidemic, but two cultural changes are obvious problems. First, kids (and their parents) spend much more time sitting than they did just a generation ago. Second, we’re surrounded by terrible food choices wherever we turn. Junk food that used to be contained to a single aisle of the grocery store has spilled into every nook of our lives. The hardware store, the grocery end caps, and even the school cafeteria are pushing food devoid of nutrition and high on calories. First, recognize that the way the food industry encourages us to eat isn’t healthy. Talk with your kids about food marketing and make a serious effort to lead by example. Explain what kinds of foods satisfy our body’s needs, and how your kids can recognize healthier options, and avoid mindless eating behaviors. Educate yourself about good nutrition and healthy eating habits. You might be surprised how easily you can tweak your habits to set your family up for success. Second, make your family culture an active one. Keep screen time in its place, encourage active play, and make family downtime an active experience. Instead of falling into the couch on a wintery Friday evening, visit your local rec center, skating rink, trampoline park or indoor pool. Find opportunities to walk instead of drive, and take family bike rides and hikes. A relationship has also been demonstrated between childhood obesity and psychological conditions, including depression and low self-esteem. It probably comes as no surprise, but being obese can also put children on the receiving end of bad behaviors, like bullying. Because of the way infants and toddlers naturally store fat, chubby can be “just right” and not signal that a child is overweight. But chubby can verge into overweight and obese with parents being unaware. A recent study found that parents with children between ages 2-5 had trouble perceiving that their child weighed too much (96.4% of parents with overweight kids, and 87.1% of parents with obese kids). At this age, small changes can make a big difference. Your pediatrician may recommend replacing sugary snacks with whole fruits and devoting at least an hour every day to moving around with your child. As children get older and their personalities emerge, one of the biggest headaches parents can face is picky eating. Refusing to eat a balanced diet and craving larger-than-necessary portions of foods like crackers, French fries, and sweets is a common problem for young children. Increasingly sedentary school days and evenings spent at home staring at screens can also contribute to weight gain. One study found that guiding parents to make healthier choices for their kids, rather than teaching children, resulted in significantly more weight loss for kids in both the short and long term. Seeking advice from your child’s pediatrician and educating yourself on healthy meal planning and methods for increasing activity are good ways to support your child’s health at this stage. While saying no to the puppy-dog eyes for that favorite unhealthy snack may be hard, your kids are counting on you to provide structure that will support many healthy years to come. What was true for young children is true for adolescents and teens: unbalanced diets and sedentary lifestyles can both contribute to weight gain. However, at this stage, the psychological impact of obesity is high. Problems with body image and callous behavior from peers can deeply scar adolescents and teens, which is why supporting a healthy lifestyle in this stage also includes supporting mental health. The American Academy of Pediatrics has issued a policy change emphasizing the importance of addressing these emotional needs. Talk with your pediatrician about the best ways to broach weight-related topics with your children constructively and positively. A recent review of weight loss studies geared towards adolescents uncovered that behavioral approaches are the main alternative to weight loss surgery for obese kids in this age group, from learning mindful eating, to setting rewards that reinforce healthy actions, to keeping a food diary, to finding ways to minimize screen time. While younger children rely on parents for structure, adolescents and teens need help finding ways to relate to food and physical activity on their own terms. They need support and positivity above all. If you’re worried about your child’s weight, check out the CDC’s child and teen BMI calculator here and make time to speak to your pediatrician. 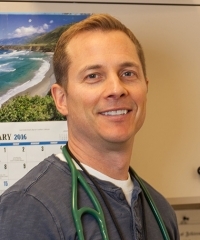 Dr. Miller's special interests include asthma, ADHD, and treating children with special needs. How can I get my child to fall asleep and stay asleep? What should I do if my child has a dental injury? How can I get my kids to school on time?